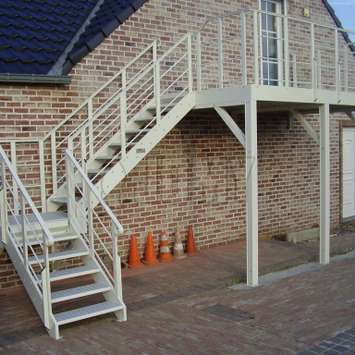 Height differences in your garden are not very easy for daily use and may even cause risks of falling or getting hurt. 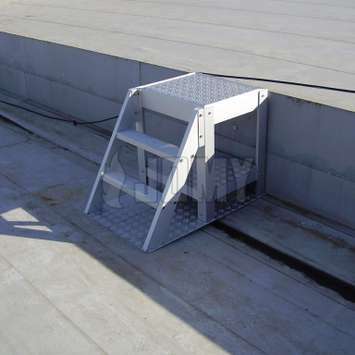 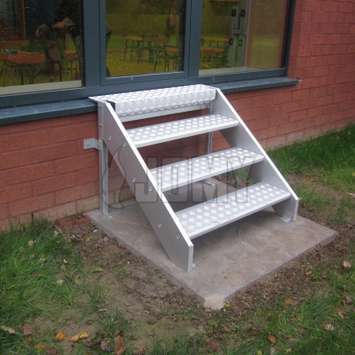 This problem can easily be solved by using our JOMY steps in lightweight aluminum. 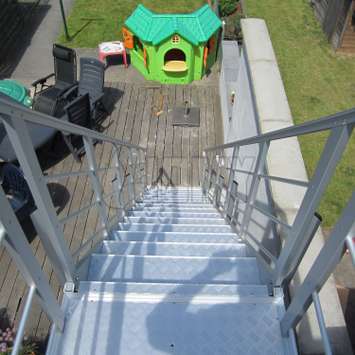 Our steps will give you and your family an easy access to your garden. 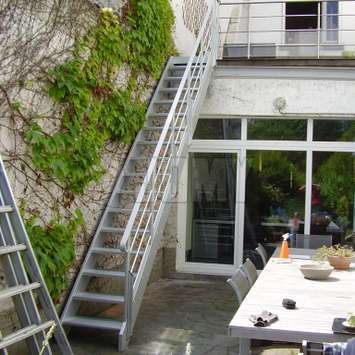 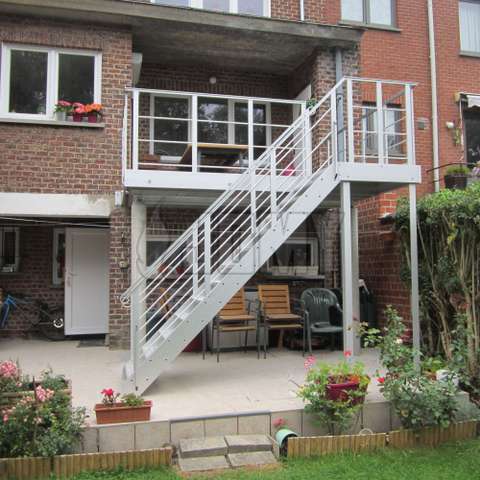 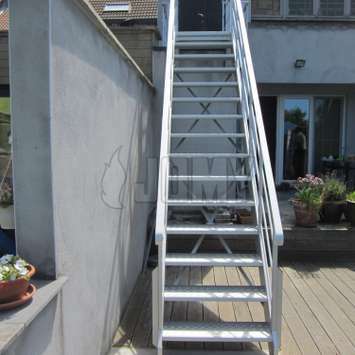 There may be differences in the height between your home or terrace and your garden. 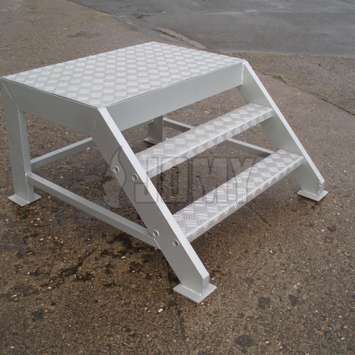 This height difference is not easy for daily use and may create a risk of falling or getting hurt. 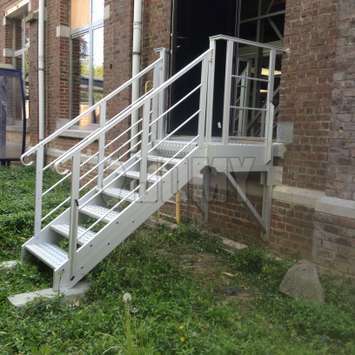 This problem can easily be solved by using our JOMY steps in lightweight aluminum. 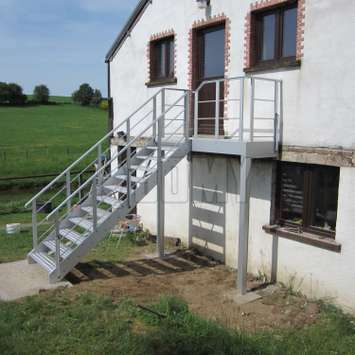 When changing the purpose of a floor in your building it is possible you need an external entrance seperate from the internal staircase or that you need a second evacuation possibility from that floor. 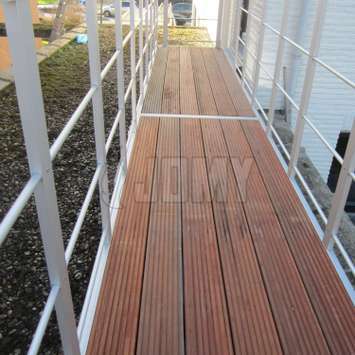 For this, JOMY has the ideal solutions. 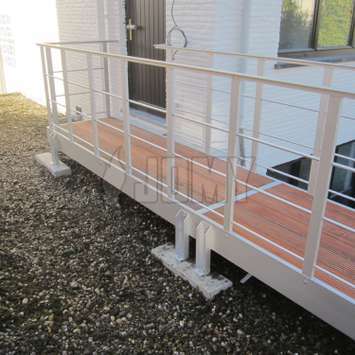 Thanks to the sleak look of anodized aluminium and the possibility of all kind of colors on our installations, the JOMY constructions will belnd in perfectly in the design of your builidng and/or garden. 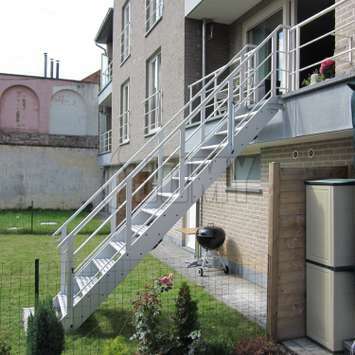 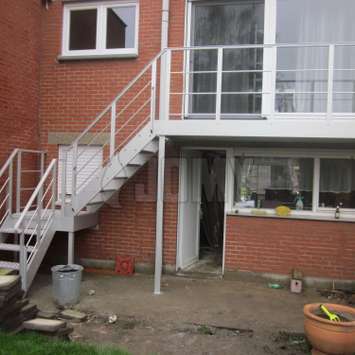 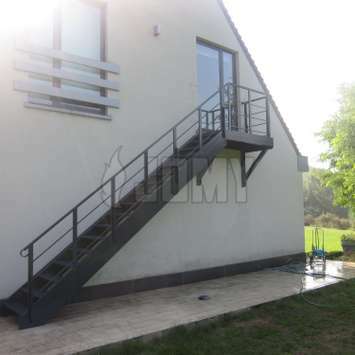 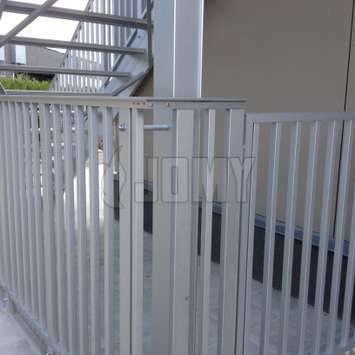 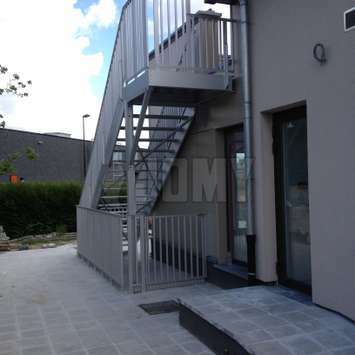 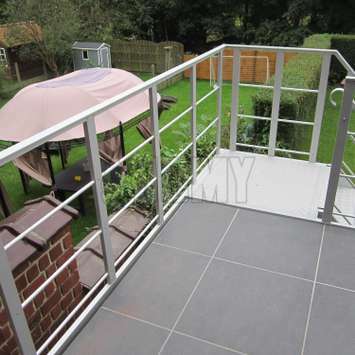 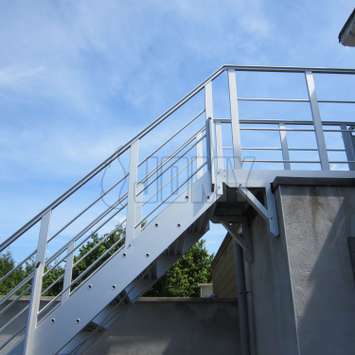 JOMY gardenstairs can also be supplied with guardrails to improve safety, especially for children, the elderly, or people with limited mobility.